Discover the healing power of red earth and blue sky. Red Mountain Spa. It’s not your mother’s spa. It’s a place where you can be active or relax as you like, anytime you like. Here, stunning red rock cliffs, black lava bed gardens and vivid landscape invite exploration. 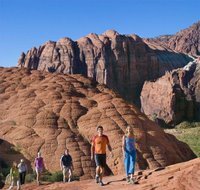 Where daily guided hikes, rock-climbing outings, canyon-hugging bike rides and group exercise classes meet any fitness level – from thrill-seekers to chill-seekers. Where you can choose your own adventure – whether it’s for body, mind or spirit. 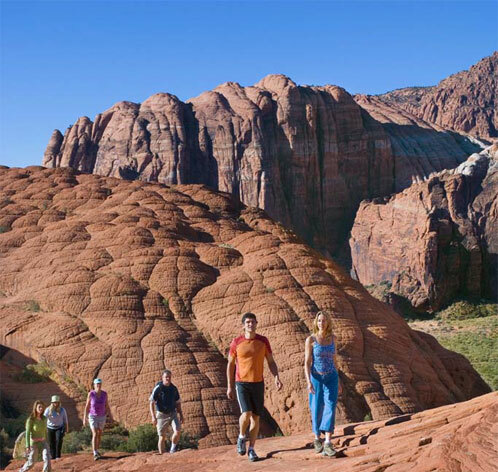 Whether you come seeking sports or solitude, spiritual sanctuary or spa pampering, Red Mountain Spa offers a landscape of limitless possibilities.